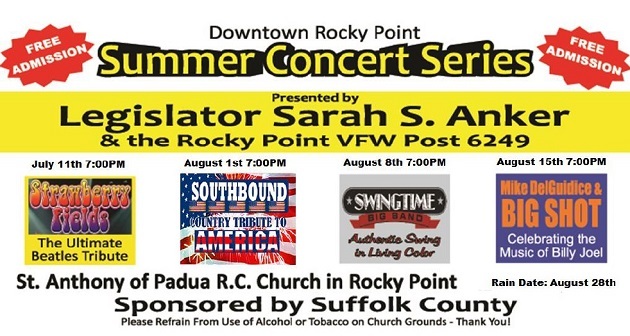 NEW YORK – Suffolk County Legislator Sarah Anker announces the schedule for the 2017 Downtown Rocky Point Summer Concert Series, hosted in conjunction with Rocky Point VFW Post 6249. Four concerts will be held at St. Anthony’s of Padua Parish in downtown Rocky Point (614 Rt.25A, Rocky Point). The concerts will be held during July and August and will begin at 7:00pm. The concerts draw thousands of attendees and help support local businesses. Admission is free and attendees are encouraged to bring lawn chairs, blankets, and a non-perishable food item for Long Island Cares. 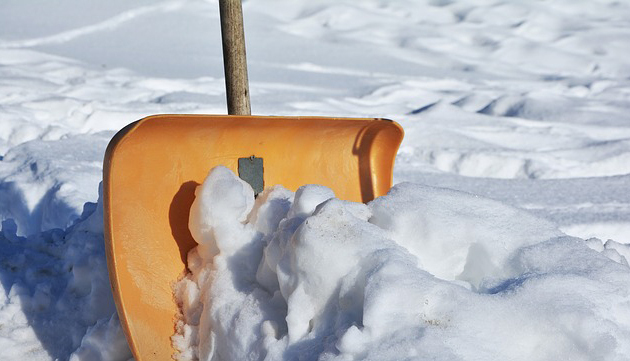 In case of a cancellation due to weather, the rain date is scheduled for Monday, August 28th. 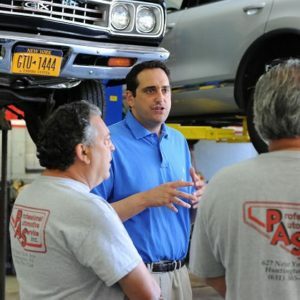 For more information, please contact the office of Legislator Sarah Anker at (631) 854-1600.